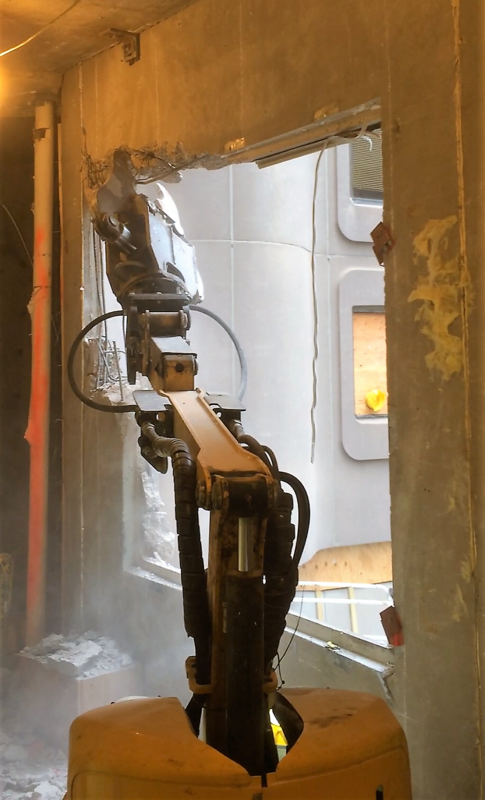 Diamond sawing and robotic "Brokk" demolition provide excellent results for your particular demolition needs. 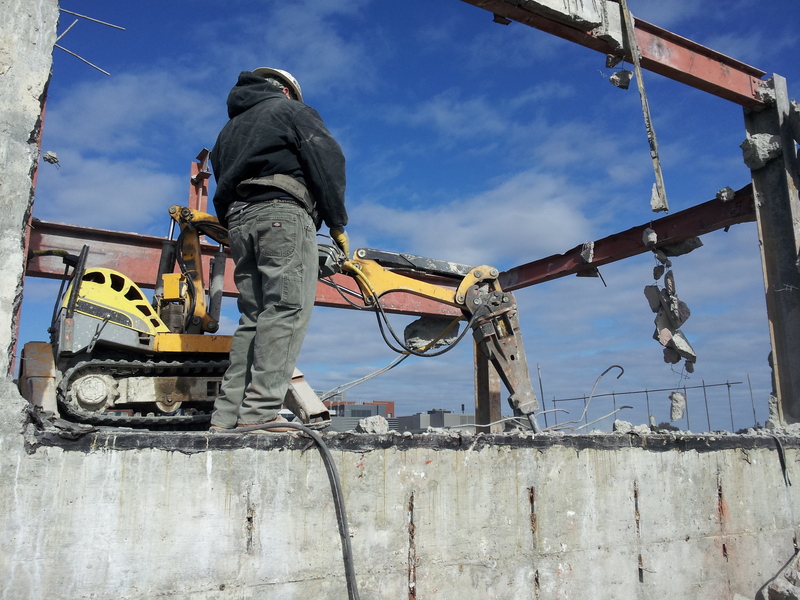 With our specialized hydraulic and electric hydraulic equipment, Aaxiom Concrete Sawing has the capability and expertise to work in any environment. 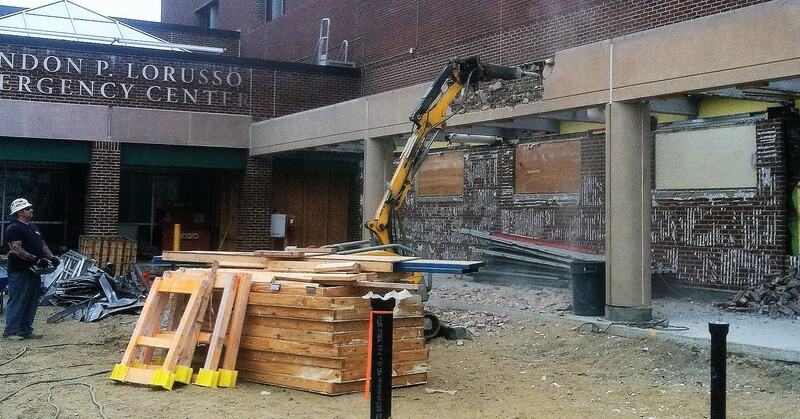 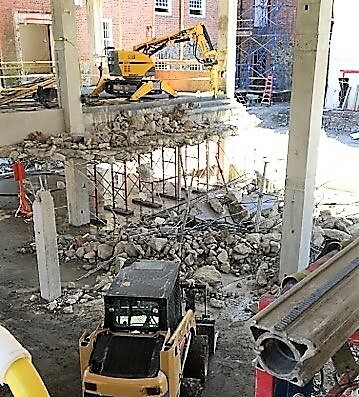 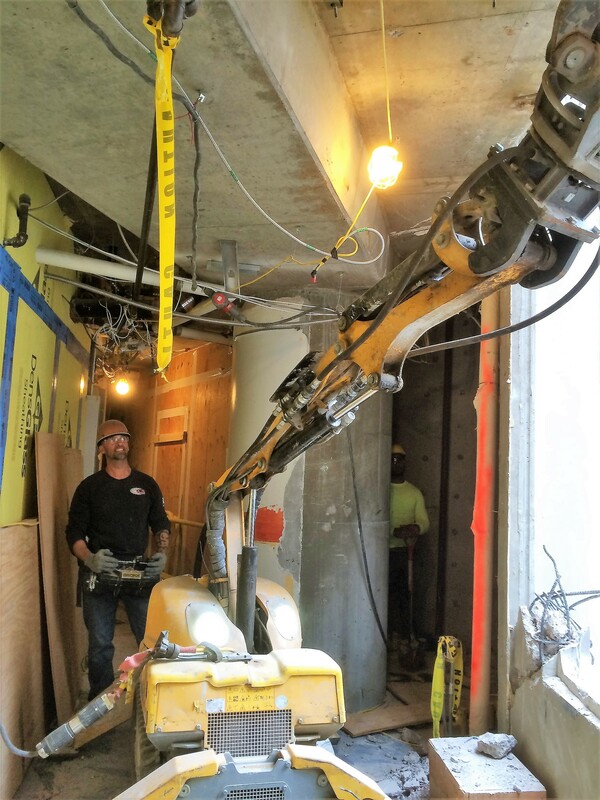 Today's modern demolition equipment allows us to work in spaces previously considered too small or without adequate access for older equipment. 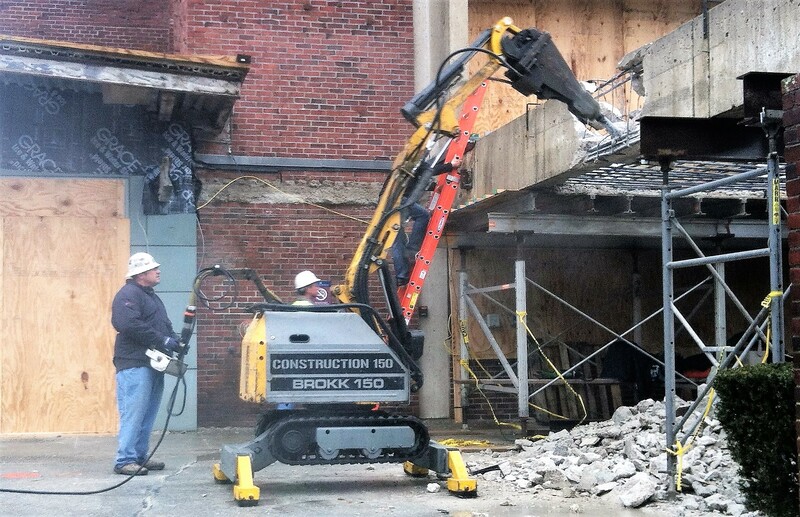 Also, our equipment brings a new level of safety to any demolition product, which can improve your bottom line. 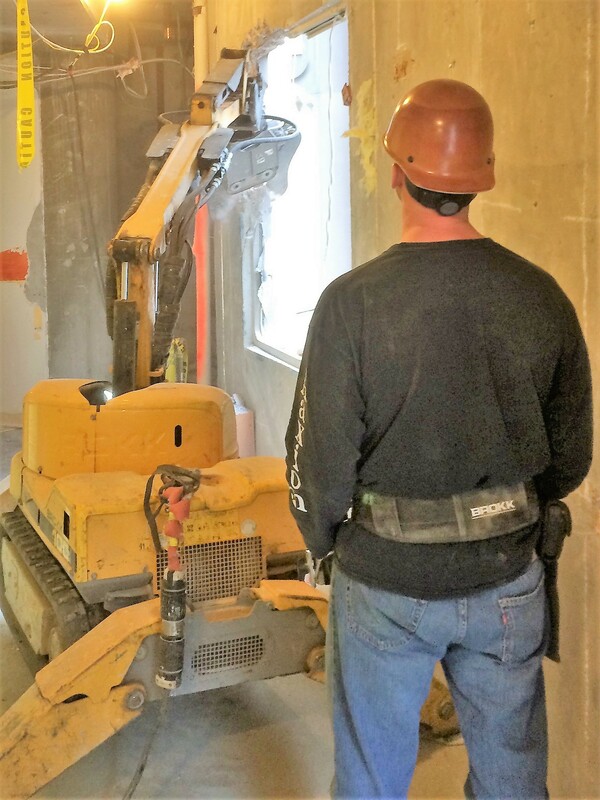 Take advantage of the service you have been looking for. 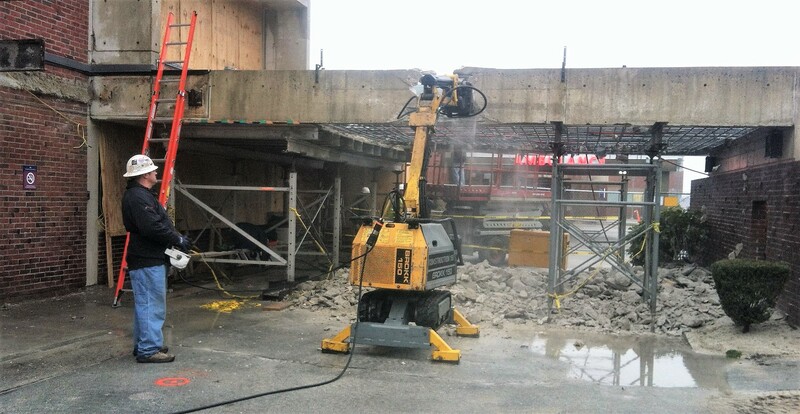 With our experienced operators, the Brokk takes down concrete walls and slabs with little effort and a lot of savings on the cost of manpower. 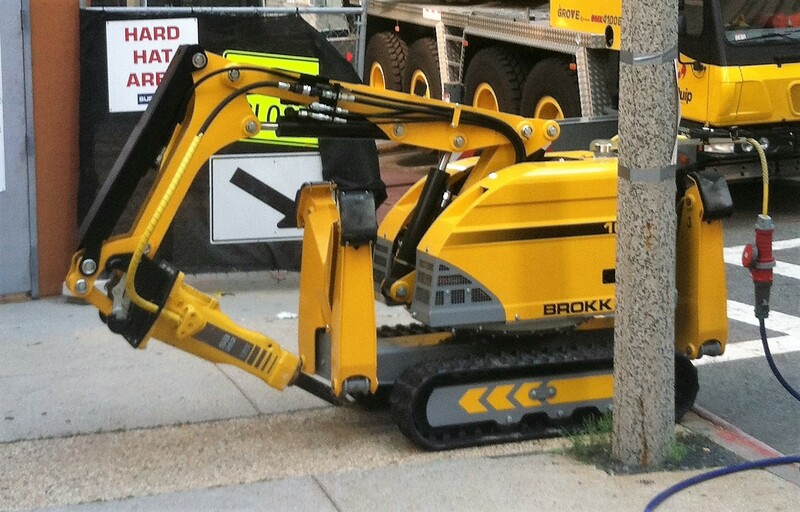 The Brokk runs on electricity, which is great for interior work because fumes from gas or diesel engines are eliminated.